When you think about it, thermal paper is something you use every day! When you buy something in a store, you get a paper receipt. When you use an ATM, it prints out a paper slip showing the date, amount, transaction code, bank location, etc. This paper is actually thermal paper and is used all over the world in our everyday lives. From a business perspective, this gives thermal paper an enormous market potential that can be a very profitable investment. Our thermal paper products have been selling very well in the Saudi market for over 10 years. 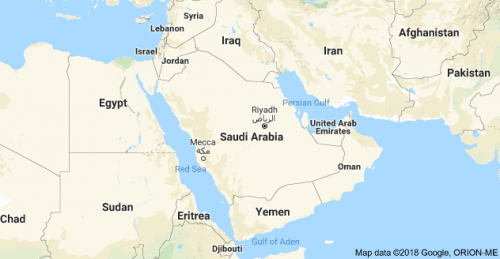 In the last article, we have analyzed the UAE thermal paper market, in this article we’ll conduct an industry analysis of the Saudi Arabia market. Low Cost. China’s labor costs are 40% lower than in Saudi Arabia, which is reflected in much lower prices for the thermal paper products. Total Supply Chain. 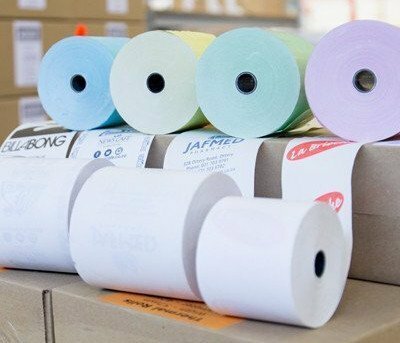 China has the complete, total supply chain needed for thermal paper roll production: thermal jumbo roll, slitting & rewinder machine, packing materials, accessory… everything right here in our manufacturing facility. Flexible Delivery Network. China has a wide range of shipping methods available. Whether you need to rush urgently to the airport to pick up your goods, or simply have them shipped to the harbor, The China paper roll factories can meet your needs. At the moment we can deliver our paper rolls to Dammam, Jeddah and Riyadh dry port. Besides the Saudi Arabia market, we can also deliver our paper rolls to other Gulf countries: UAE, Kuwait, Bahrain, Oman, Qatar, etc. Are you interested in investing in the profitable Saudi Arabia market? or do you want to know more tips, strategies about Saudi Arabia thermal paper industry? Please contact us or leave your comment below and we will show you how easy it is to get started! Dear panda team …can i take dealership for Saudi Arabia? ?please give me ans.